How to feed 9 billion people without wrecking the planet? 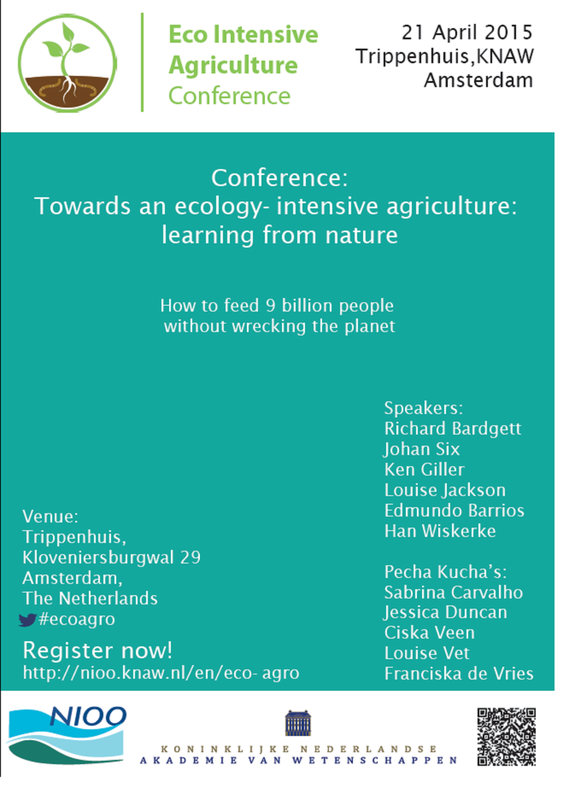 I am moving WAY out of my comfort zone by presenting a Pecha Kucha (20 slides shown for 20 seconds each) at the Eco Intensive Agriculture Conference. I will be reflecting on the “why” and “how” of integrated food security governance for sustainability transformation and talking about why we need to include socio-cultural and socio-ecological considerations in such arrangements. Registration for the conference is free (click here)! I have been a bit of a slacker these last few days, at least in terms of blogging about the happenings at the Civil Society Forum in preparation for the 39th Session of the UN Committee on World Food Security. One of the cross-cutting themes at the forum has been the need to promote agroecological approaches. However, many participants have noted the challenges of using this term since there is a lot of confusion about what it means. To try and change this, Civil Society organizations have organised a side event “Food Systems Facing Climate Change – Agro.ecology provides the answers!” (Wednesday, Oct. 17th at 12:30 in the Lebannon Room with interpretation in English, French and Spanish). In a new article by Peter M. Rosset and Maria Elena Martínez-Torres titled “Rural Social Movements and Agroecology: Context, Theory, and Process” (Ecology and Society 17(3): 17) they provide some thoughts on agroecology that I thought I would share here. For the social movements that make up La Vía Campesina, the concept of agroecology goes much farther than just ecological-productive principles. In addition to these, LVC incorporates social, cultural and political principles and goals into its concept of agroecology. We can find examples of sustainable peasant and family farm agriculture all over the planet, though the names we use vary greatly from one place to another, whether agroecology, organic farming, natural farming, low external input sustainable agriculture, or others. In La Vía Campesina we do not want to say that one name is better than another, but rather we want to specify the key principles that we defend. Truly sustainable peasant agriculture comes from a combination of the recovery and revalorization of traditional peasant farming methods, and the innovation of new ecological practices… We do not believe that the mere substitution of ‘bad’ inputs for ‘good’ ones, without touching the structure of monoculture, is sustainable… The application of these principles in the complex and diverse realities of peasant agriculture requires the active appropriation of farming systems by peasants ourselves, using our local knowledge, ingenuity, and ability to innovate. We are talking about relatively small farms managed by peasant families and communities. Small farms permit the development of functional biodiversity with diversified production and the integration of crops, trees and livestock. In this type of agriculture, there is less or no need for external inputs, as everything can be produced on the farm itself.